HELP US RAISE $5,000 IN 31 DAYS! A gift from you can help give a family one less worry. 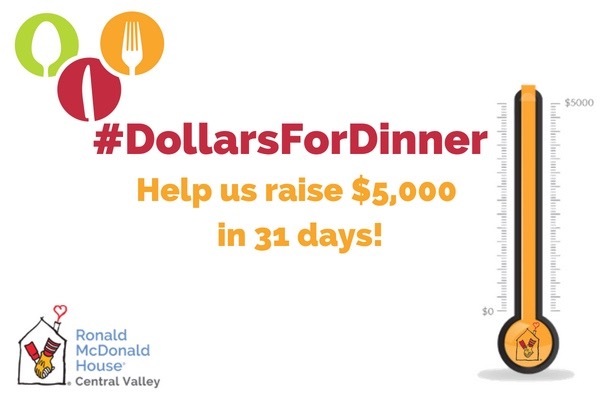 Your donations to the #DollarsForDinner campaign will allow the Ronald McDonald House Charities of the Central Valley to purchase meals for the families staying at our House. Together, we can support families who need our help the most. Donate today! The mission of the Ronald McDonald House Charities of the Central Valley is to provide a home away from home for the families of children who are hospitalized at Valley Children's Hospital.